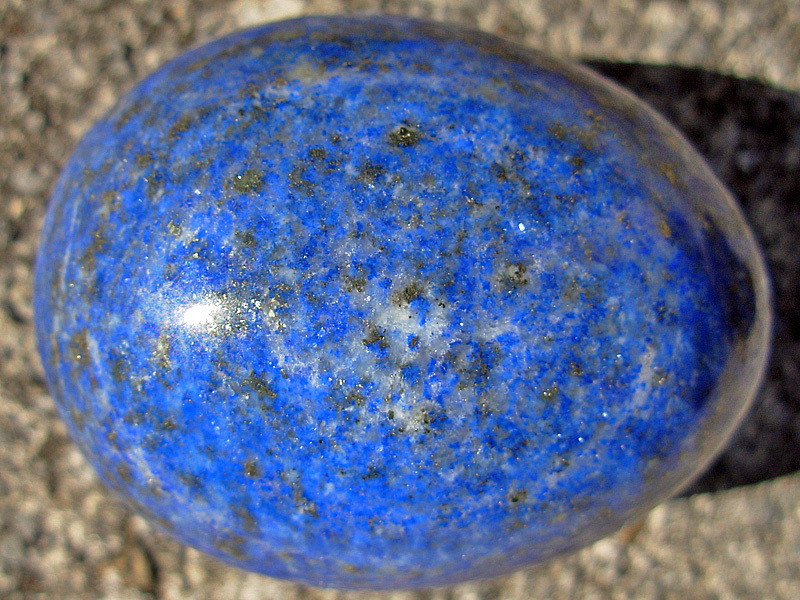 Natural lapis lazuli is an intense blue stone. Lapis Lazuli is a rock composed chiefly of the blue silicate mineral lazurite, together with calcite and brassy- colored pyrite which is abundant in the poorer quality material. The mineral owes its name to the Persian word lazhward, meaning blue. The color of lapis lazuli varies from a blue tending to greenish-blue to rich purple blue. In the best quality specimens, the color is evenly distributed but in general it is spotty or striated. The coloring agent is Sulphur. Lapis lazuli is an opaque gemstone and often contains small gold or silver pyrite inclusions (it is also called fools' gold) that run through the material in veins or layers. The finest lapis lazuli is considered to be a solid, deep blue with no white calcite spots, and just a sprinkling of brassy yellow pyrite. 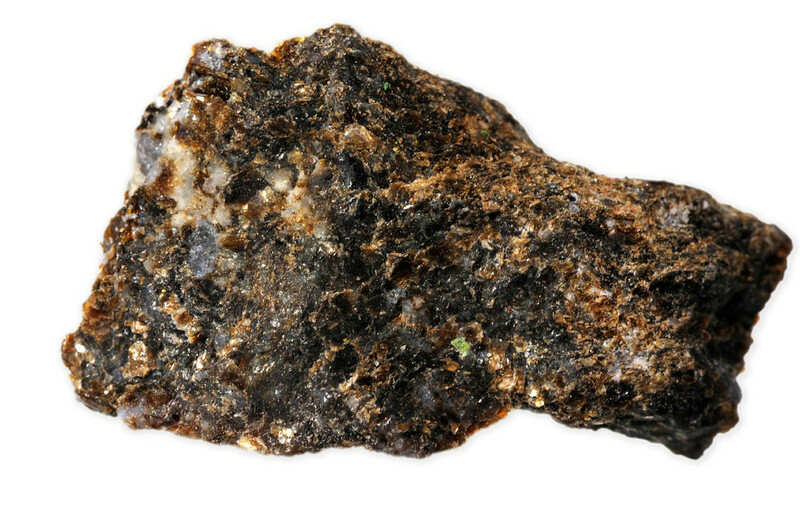 Such a material is found in Afghanistan and Pakistan only, in commercially interesting quantities. Lapis lazuli can be confused with azurite, dumortierite, lazulite, and sodalite. The best quality lapis lazuli gem stones come from the Badakshan district of the mountainous north-eastern part of Afghanistan, Afghan lapis lazuli has the most desirable shade and depth of blue and is the most expensive (they can be very large, up to 100 kg). Lapis Lazuli is also found in Argentina, Canada, Chile, Myanmar, Russia (Siberia), USA (Colorado, California). You can find our interactive map for gemstone of the world Here. Lapis Lazuli gemstone is often dyed to even out the color (sometimes selectively to cover the white constituents) then it is coated with colorless substances to improve surface uniformity and durability. Lapis Lazuli has been used for jewellery since the prehistoric times. During the middle ages it was used as a pigment to produce aquamarine. Ancient writings show that this blue stone has been the preeminent jewel in the land of Nile for at least 5000 years for ornamenting bracelets, pendants, daggers and breastplates. Some places and churches have wall panels and columns inlaid with lapis lazuli. Today it is used for ring stones and necklaces, as well as sculptures, vases and other ornamental objects. Lapis Lazuli is especially suitable for men's jewellery, because of its rich blue color and the fact that it does not show wear easily. It is fairly tough, takes an excellent polish, and is dark enough not to be a problem in color coordination with clothes. Shop from our Amazon-powered store Here. Lapis Lazuli is very sensitive to pressure and high temperatures, therefore it should not be cleaned with ultrasonic or steam cleaners. Lapis Lazuli should not come into contact with cosmetics, hairspray, perfume (always wipe perfumes and perspiration off before storing) or household chemicals. Rings should be taken off during household work. Furthermore as it is a relatively soft stone it should be stored separately from other stones. Lapis lazuli is the most lauded gemstone in Egyptian literature. This stone seems to have captured the imagination of Egyptians more than any other gemstones. The high status of the stone is evident by frequent references to the objects that were considered beautiful (not necessarily blue in color). For instance, "The First Stanza", a love poem of Papyrus Chester Beatty I, describes a woman of surpassing beauty as having hair of true lapis lazuli (this stone is the most commonly cited in prose and poetry). Papyrus Westcar preserves the tale of magician who describes the birth of first three kings of the Fifth Dynasty. "The child was delivered with arms overlaid with gold, and head dress of true lapis lazuli. Due to its beautiful blue color, lapis lazuli has been associated with the signs of the mighty heavens since the ancient times. As a matter of fact, lapis lazuli was called "the stone of heaven" by the ancient people. 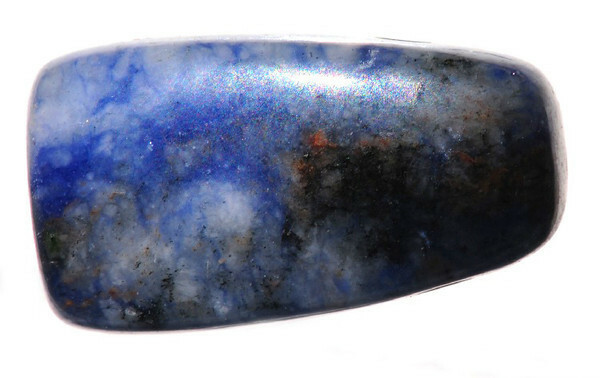 There are a lot of myths associated with lapis lazuli. For instance, ancient Egyptians used lapis lazuli talismans, which were fashioned in the form of eyes, to sooth sore eyes. Ancient people from Sumeria believed that the wearer of lapis lazuli will be protected from any danger by actual presence of God. 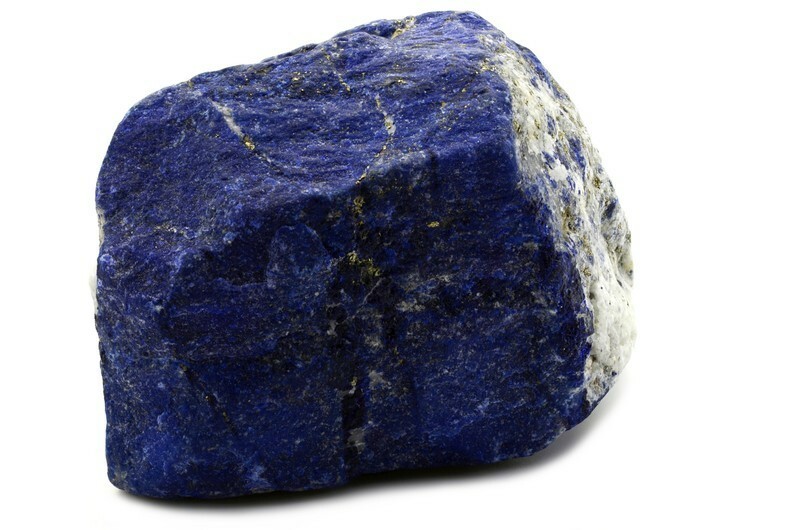 The also believed ingesting lapis lazuli in the powder form will help patients suffering from sleeplessness and fever. Traditionally, lapis lazuli is a very respected gemstone among Buddhists and they hold the stone as one of the seven precious things. The water in which a piece of lapis lazuli was dipped, was used by ancient Chinese to cure fever and inflamed eyes. They also used lapis lazuli necklaces to inspire courage in fearful children, strengthen affections and ensure fidelity in friendship.